RKM had the most liked content! I don't know anything and I'm fine with that. Only going to say this once, requests go in the requests section for this is the "Show Your Projects" thread which can range from barely part of a truck or track to a completely finished item related to either trucks, tracks, or props. I don't like seeing people beg for release dates or pestering someone to add something they may or may not want to add and those are in the rules so any more of that and maybe you can enjoy having your posting privileges moderated. Carry on. It's likely cheaper to buy the parts and build it yourself provided you have the space and knowledge to do so which would be useful regardless if you had prior knowledge or not so you'd have some kind of idea how to work on it because let's face it, it will break at some point no matter what. I don't really have a lot to add that would be of value since I've been more of a casual follower the past few years but I haven't seen anything mentioned about a plan to move the truck around to events once built. I do find it quite nice to have an actual discussion about the inner workings of the trucks here though since most of the older places with that sort of information have fallen off or been replaced by Facebook groups. Good luck and do keep us posted as I'm sure a lot of people here would be interested in seeing it come together. You've probably already found links to some of these but these are just the ones I can remember. (ps don't forget about safety) http://samson4x4.com/pei/ http://www.crdmfg.com/ http://www.racesourceinc.com/ http://www.racesourceinc.net/shop/ https://www.ouversonusa.com/ Only thing I have to add is I'm mildly disappointed not a single mention was given to Racesource but that's more of a personal preference. The commercials are the only part worth watching... the one time people actually want to see the ads on their screens. Here is one of my long term customs that dates back to 2008 or 2009 when I made the very first version. I've been running The Punisher for so long that I want something fresh that has gone relatively unused for a long time. This will be my truck for SMRA however if you wish to run it you may do so as long as I have no interest in competing in the same league. Yes, that means my old Punisher truck is now an open custom for anyone to use should they wish. Download link 1: Mediafire Download link 2: Google Drive Four versions of the truck, two normal and two with SMRA/NAMT settings. Special thanks for giving me something to listen to while working on this: Devin Doss, Mason Runkel, Aaron Lurie, Danny Mackey, Chadwick Deerfoot, Zach Nicholas, Kozak, Jack Merkle, even Julio Vellon I guess... Parts & Props: Fernburn, RockGod88, RKM, Crazy, Steele, Kozak, Wambo, LiquidFire215, Sheets, Harlow, Johan, Donelly, Helen Weales, Rockcrwlr, John Dough, Mark Colineri, SealedGecko, and probably some others I don't remember, seems to be a common occurence given how poor credits are listed on uploads these days which makes it way more difficult than it needs to be to credit the proper people so I can't tell you anything specific other than what is below. Most everything I used can be found on the site however. Body is a combination but was turned into an extended cab and mapped by RKM Gauges are by RKM Engine is Wambo's Paint scheme design/layout design was made with various circuitry brushes to help with my initial design. The lighting effects are actually Chris B's but modified quite reasonably which was mainly just to see if it could work on a truck like it does on his WRA Birmingham track and it ended up looking quite good to me so it stayed. If I can find the proper credits for the body it will be uploaded to the scrapyard for everyone to use. It's not perfect but it's mine, feel free to use whatever you want as long you try to give proper credit. I would imagine it would be used more for quick feedback and general project discussions rather than an alternate method to sharing aside from on the site and with that thinking I'd rather it all be stuck in one place on the discord server than for it to be scattered around five or more different channels. It's meant to compliment the site more than anything such as a place for people to organize funruns or leagues if they wish and can also be used for watching events. Was going to wait until I had more to post it but this looks too good for me to not share it. 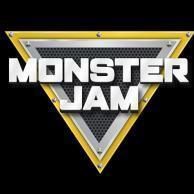 Join the Unofficial Monster Jam Discord! Literally all of that is already on the site aside from voice chat, and yes there is a Sim-Monster discord though I do not recall if it has been posted to the site publicly.